A diverse musician, Canadian oboist Dr. Catherine Lee has performed extensively as a solo, chamber, and orchestral musician on oboe, oboe d’amore and English horn in a wide range of artistic settings, including classical, contemporary, and free improvisation. She is active in commissioning new solo works that explore experimental compositional and oboe performance techniques. 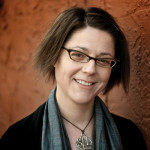 Catherine is on faculty at Willamette University, Western Oregon University and George Fox University. In 2013 Catherine released the solo cd social sounds featuring works for the oboe, oboe d’amore and English horn by Canadian composers on Teal Creek and in 2015 the Lee + Hannafin Duo released their first recording Five Shapes: Improvisations for Oboe d’amore and Percussion. As an interdisciplinary artist, Catherine collaborated in the creation of reeds, a site-specific work composed by Emily Doolittle (Sound Symposium, 2010); with POV dance (Ten Tiny Dances, 2008); and with Tracy Broyles (Risk/Reward Festival, 2012). Catherine has performed in the oboe sections of many ensembles, including Oregon Symphony, Oregon Ballet Theatre, Portland Opera, Portland Cello Project, and Les Grands Ballets Canadiens de Montréal, Montreal Chamber Orchestra and was a tenured member of Orchestre symphonique de Longueuil from 2003 to 2008. Catherine has also performed in ensembles led by improvisers Vinny Golia, John Gruntfest, Gino Robair, and Tatsuya Nakatani. Catherine’s doctoral research in how virtuoso performers in the late eighteenth century used the solo concerto to demonstrate their specific skills and create a resonance with audiences, has lead to a curiosity with the role of improvisation in both the development of creativity and voice of a performer and in the relationship between performers, audience and space. She has presented her research at Ecomusics & Ecomusicologies 2014: Dialogues (Asheville, NC, 2014), The Embodiment of Authority – Perspectives on Performances (Helsinki, Finland, 2010), The Performer’s Voice (Singapore, 2009), Guelph Jazz Festival Colloquium (Guelph, 2010, 2012), Performance in the Studio (2013) and College Music Society (Seattle, WA, 2010, 2013). Her research has been published by Yale University Press, Peter Lang, Music Educators Journal, the IDRS Journal Double Reed and the ADRS Journal Reeding Matter. During her graduate studies at Indiana University Catherine became interested in the study of somatics and the applications for performing artists, she pursued this interest during her doctoral work at McGill University. In this vein she trained as an Andover Educator, is licensed to teach “What Every Musician needs to know about the Body”. Catherine teaches Coordinate Movement at Willamette University (Salem, OR) and has presented sessions on Body Mapping at the Washington State University (Pullman, WA), Portland State University and at the International Conference of the Andover Educators (Montclair, NJ, 2011 & Portland, OR, 2015). An avid chamber musician Catherine is a founding member of the Lee + Hannafin Duo, and re:soundings. She holds a Doctor of Music in Oboe Performance and a Bachelor of Music from McGill University (Montreal, Quebec), and a Master of Music and a Performer Diploma from Indiana University (Bloomington, Indiana). Catherine’s principal influences include Theodore Baskin, Normand Forget, Bruce Haynes and Eleanor V. Stubley.